I was fortunate to be able to attend the advocacy training hosted by the Health Forward Foundation and the Alliance for Justice last week. The speaker for the course, Nona Randois, the California director for Alliance for Justice, used an example and an activity to help frame the conversation. The example was from a school district in southern California where students had gone without instruments for some time. It was only after a local nonprofit got involved and worked with the school district that the students could play instruments and get a real opportunity to make wonderful music. The activity was a brainstorming exercise to get us to think more about what we can and can’t advocate for, and how to do it. Much like the real world, the process was messy, controversial, and even a little cacophonic. But it helped us to understand all the work that goes into advocating for an issue even before the rules apply. It was quite helpful because learning more about the rules made the process cleaner, more agreeable, and almost as euphonic as the kids playing music in California. 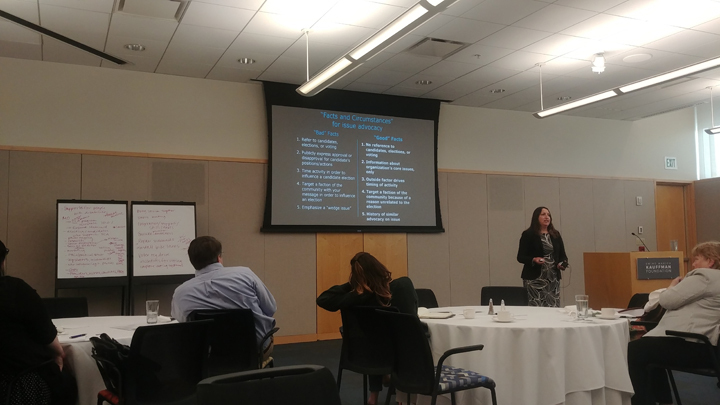 In all seriousness, the training offered valuable insight to advocacy and tax considerations, insights that will help me and my organization grow and continue to thrive. What the training meant for me personally was an increased recognition that the voices of marginalized communities deserve a seat at the table in these discussions. It was important to not only see examples from those communities, but also to discuss advocacy and tax policy with other professionals of color. It may seem odd to some, but it makes a world of difference to see people who look like me from such diverse backgrounds as the Paseo Gateway and the Department of Health and Human Services in the same room trying to understand how to maximize the tools available. Equally important is what this allows me to bring back to BikeWalkKC. I was brought on in part to help with the ever-expanding opportunities for advocacy on cycling and pedestrian-related issues across the metro and in the states of Kansas and Missouri. After completing the training, I spoke with our executive director (who also took the course) about considerations for future lobbying efforts. Moreover, that understanding of what is and isn’t allowed will enable BikeWalkKC to better inform our partners who are beginning to strengthen their advocacy efforts as well. Regardless of whether your job title includes the word “policy” or “advocacy,” you and your organization can benefit a great deal from this course. Less than a day to learn how to better understand what you can and can’t do on an important issue and what it means for tax purposes? I’ll certainly advocate for that. Michael Kelley is the policy coordinator for BikeWalkKC, which works to redefine our streets as places for people to build a culture of active living. You can connect with BikeWalkKC on their social channels: Facebook, Twitter, and Instagram or by using the #bikewalkkc hashtag. 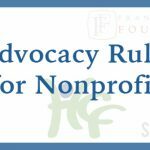 Nonprofits – Are You Listening?? 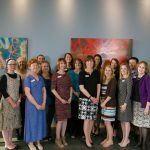 What’s a nonprofit to do?